Image created by a student from A. Philip Randolph High School that targets sugary beverages and discusses the link between sugary beverage intake and decreased energy. 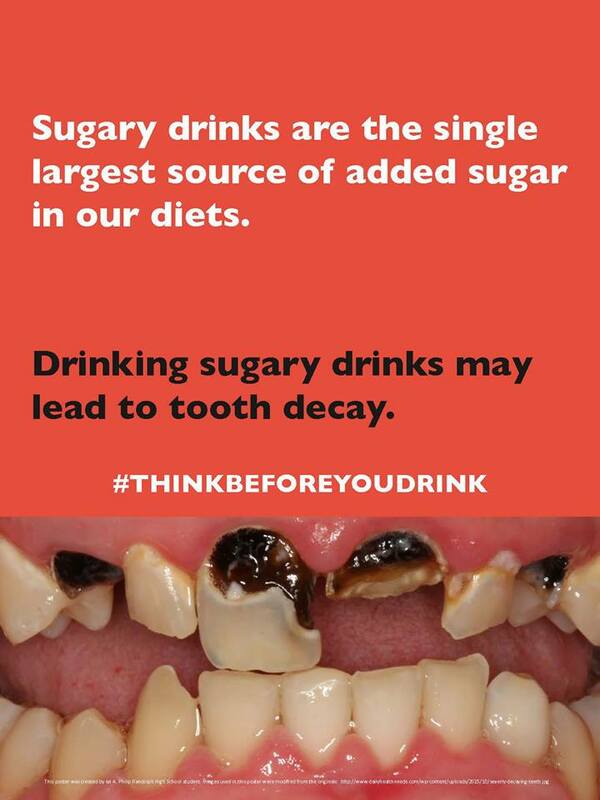 Image created by a student from A. Philip Randolph High School that targets sugary beverages and discusses the link between sugary beverage intake and tooth decay. 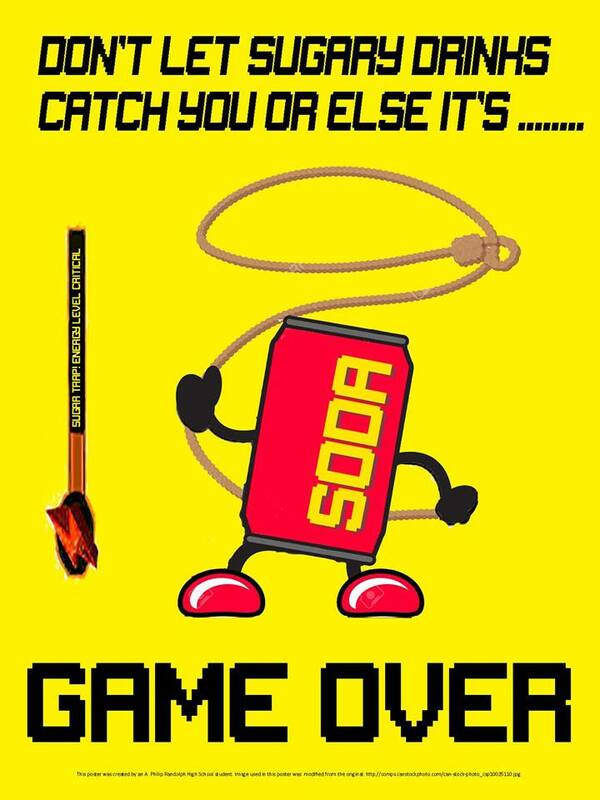 Image created by a student from A. Philip Randolph High School that targets sugary beverages and discusses the link between sugary beverage intake and deadly diet-related diseases. Image created by a student from A. Philip Randolph High School that targets sugary beverages and discusses the link between sugary beverage intake, diabetes, and blindness. "A Toast To Death" this anti-sugary beverage campaign altered logos and slogans of popular beverage brands to convey countermarketing messages and to discourage the target audience from consuming sugary drinks. Participants from the Countermarketing Staff Training Program describing the countermarketing image they created against Red Bull. Participants from the Countermarketing Staff Training Program creating a countermarketing image against sugary beverages. Participants from the Countermarketing Staff Training Program having a discussion. Countermarketing image developed by student in the Youth Food Educators Program targeting McDonald's. Image developed by Youth Food Educators student targeting AriZona beverages. Image developed by Youth Food Educators students for their campaign "Two Faced" which exposed the two sides of Ronald McDonald - the happy, friendly, clown, and the deceptive, scary grim reaper that encourages children to eat unhealthy McDonald's. 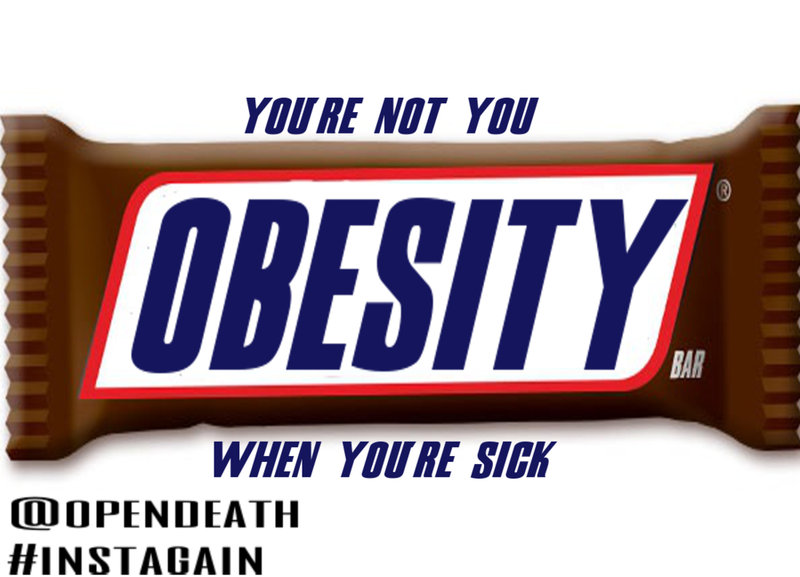 Image developed by Youth Food Educators student targeting Snickers. Meme developed by students in the Youth Food Educators Program targeting Popeyes. Meme developed by students in the Youth Food Educators Program targeting the non-food ingredients in Popeyes chicken. Image developed by Youth Food Educators students targeting Coca-Cola. Image targeting McDonald's Big Mac. Retrieved from adbusters.com. Image from Corporate Accountability's Retire Ronald campaign, which advocated for Ronald McDonald to be removed from McDonald's marketing. Photo is retrieved from www.nextnature.net that depicts how unhealthy diets are now a greater threat to global health than tobacco. Image from Howard County Unsweetened depicting how CapriSun is liquid candy. Image from Howard County Unsweetened depicting how drinking Gatorade is like eating candy.